U.S. Rep. Jared Polis (D), the millionaire Boulder Congressman who supported a failed campaign against Colorado’s energy sector in 2014, is back in the anti-fracking spotlight. Once again, Polis is attacking his own party and the state’s ever-tightening oil and gas regulations, put in place by Gov. John Hickenlooper and his predecessor Gov. Bill Ritter. Polis now claims the rules developed under two Democratic governors lack “any meaningful protections for homeowners or communities.” He further claims to be pursuing “reasonable solutions” and “a thoughtful plan” with other state leaders. But, honestly, who does Polis really think he’s fooling? This is same kind of rhetoric we heard from Polis two years ago, when he teamed up with fringe national environmental groups to push a series of statewide ballot measures targeting energy companies. Publicly, he tried to distance himself from “ban fracking” forces. He denied the measures were anti-energy and claimed they were really about “local control” and moving drilling rigs further away from residential communities. Polis even claimed to “support fracking and the all-of-the above approach” to energy. Almost no one believed him, however. In a point of rare agreement in the 2014 election, Hickenlooper and his Republican challenger, Bob Beauprez, both called the Polis measures “radical.” In a stunning rebuke to a fellow Democrat, Hickenlooper called the proposed ballot initiatives “extreme measures that would drive oil and gas out of Colorado.” The central claim of the Polis anti-energy campaign – “Current laws allow fracking anytime, anywhere in Colorado” – was called “a lie in so many ways that it’s hard to know where to start” by the Denver Post. Eventually, Polis pulled down the ballot initiatives under intense pressure from his fellow Democrats, who feared the extreme measures would cost them dearly in the 2014 election. The Boulder congressman then agreed to a special task force, established by the governor, to examine and recommend changes to local and state roles in regulating oil and gas development. As you might expect, this enraged the “ban fracking” groups Polis was working with. Does that sound like a public official who supports fracking and the all-of-the above approach to energy? Hardly. Just as Fox said, Polis has been “very good” to anti-energy activists through the years. In 2011, for example, Polis held a press conference with Fox and Hollywood actor Mark Ruffalo, who serve together on the advisory board of Americans Against Fracking. 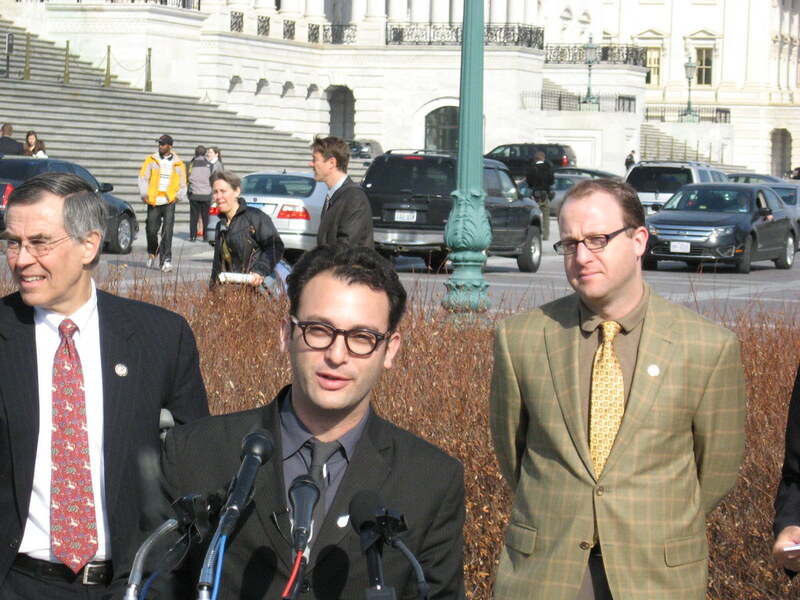 Polis heaped praise on the “amazing job” Fox and Ruffalo had done building “an army of believers devoted to the cause.” The two activists were visiting Washington to demand “an immediate moratorium on drilling, permitting and fracking,” or in other words, a total shutdown of domestic oil and natural gas production with severe economic and energy security consequences. Since then, Polis has provided political cover to national “ban fracking” groups in Colorado, too. In June 2012, the Washington, D.C.-based activist group Food & Water Watch declared Northern Colorado “ground zero” in the national campaign to ban domestic oil and natural gas production after state and local officials approved a group of new wells roughly 1,300 feet from an elementary school in Erie. But the campaign struggled to gain traction, even after Ruffalo provided a celebrity endorsement. So Polis threw the activists a lifeline with a press release demanding a “1,000 foot buffer between schools and hydraulic fracturing activities.” It was a cynical political ploy – the wells in question were actually 300 feet further away than the congressman’s demand – but the “ban fracking” activists got a fresh round of press coverage to keep their campaign going. Another example of Polis aiding anti-fracking activists came during Colorado’s historic September 2013 floods. Anti-energy groups tried to politicize the floods, just weeks before “ban fracking” ballot measures would receive a vote in four northern Colorado cities, by making alarmist claims about “tens of thousands of toxic chemicals” being released from damaged oil and gas facilities. Those claims were challenged at the time by state health officials, and later debunked again by federal and state regulators. But once again, Polis legitimized the “ban fracking” activists by demanding a congressional hearing into the “toxic spills.” This generated another round of state and national headlines promoting the misleading claims of anti-energy groups, which helped them prevail in all four cities with fracking bans on the ballot. So, the next time Polis talks about his support for Colorado’s energy industry and his desire for reasonable solutions, remember his real track record and use your common sense. Anti-energy actions speak much louder than pro-energy words. Fracking or EPA’s controversial ‘ObamaAir’ to be biggest Colorado energy issues of 2015 session?